NEW FOR 2018. With smooth writing PREMIUM Dokumental ink, this pen will be an instant classic with your clients. 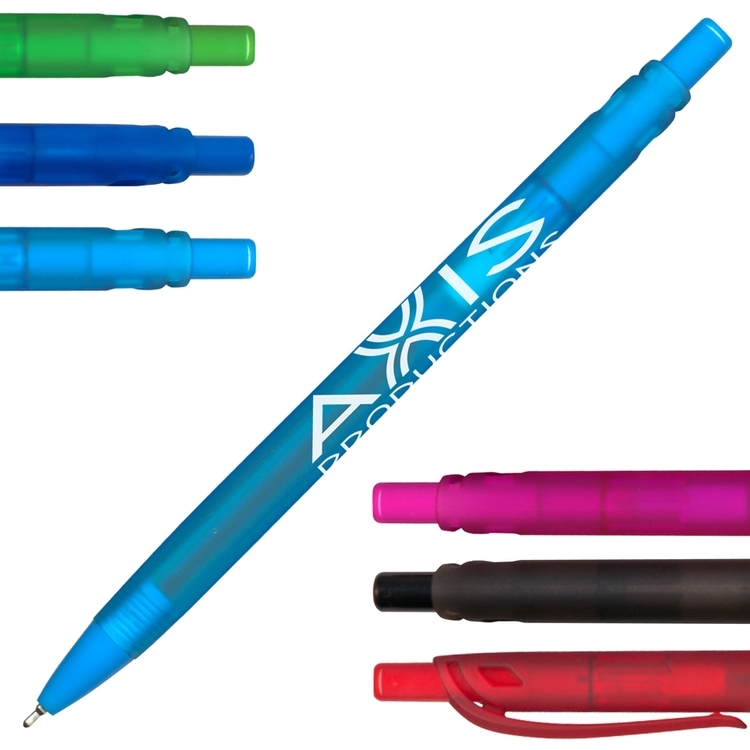 Available in 4 different "squishy" rubber coated barrel colors and accented with matching trim, the large imprint of this pen will show off even the most difficult of logos to print. Medium 1.0mm Retractable Ballpoint Pen with black writing ink. White imprint only.